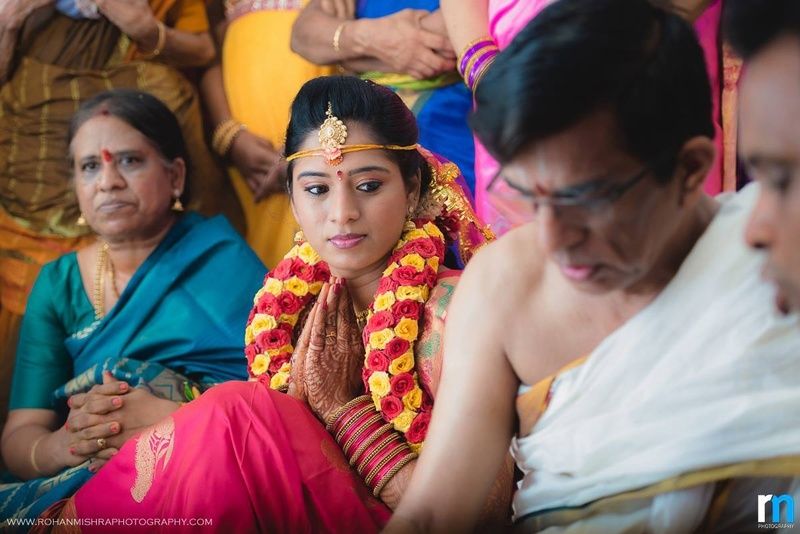 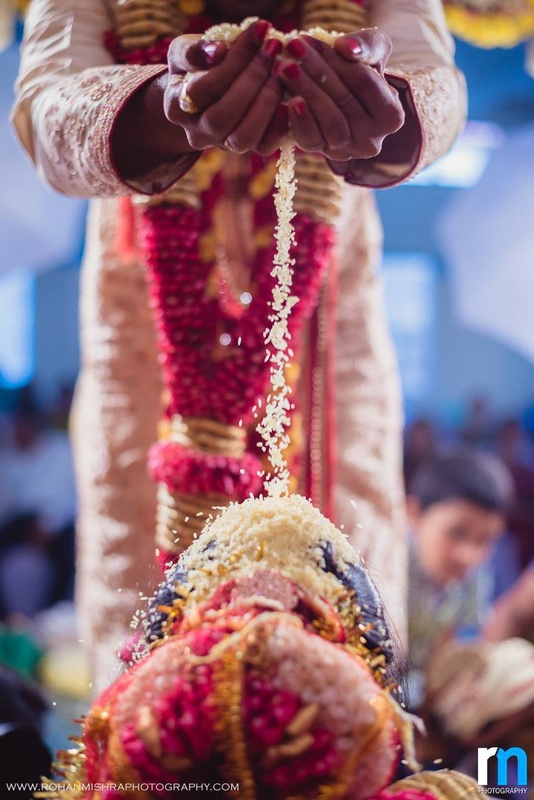 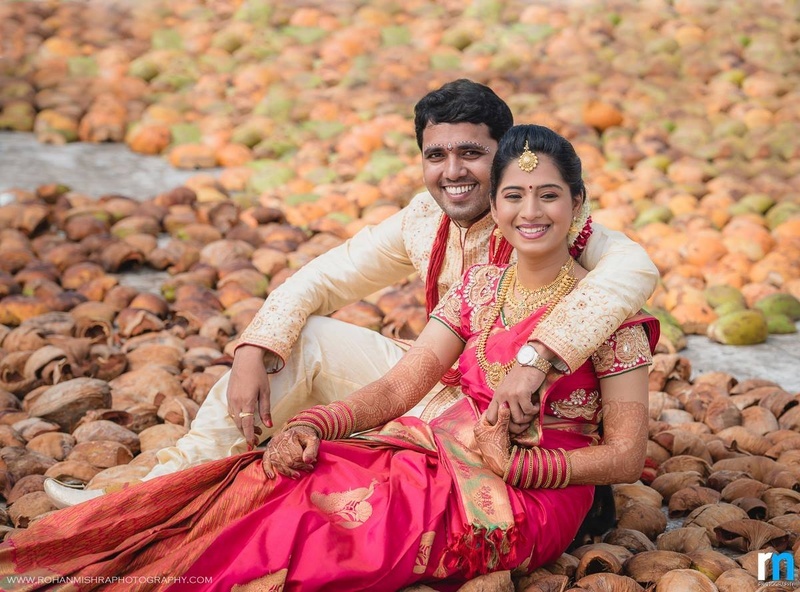 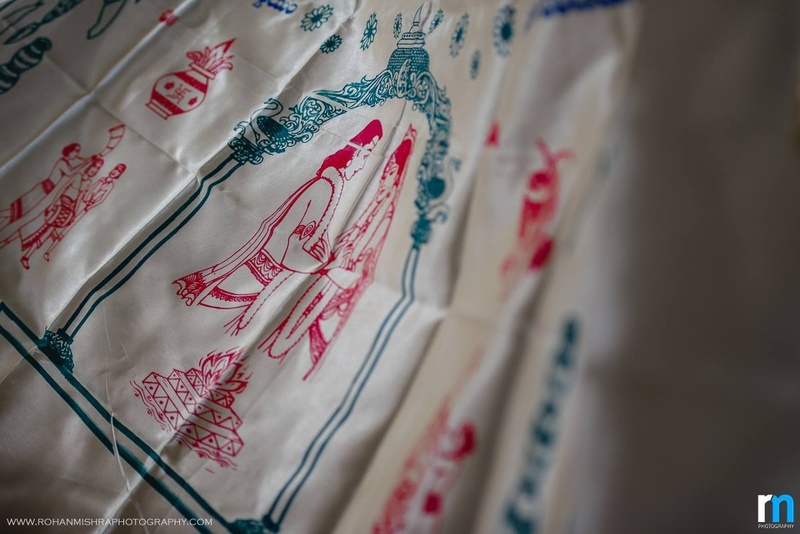 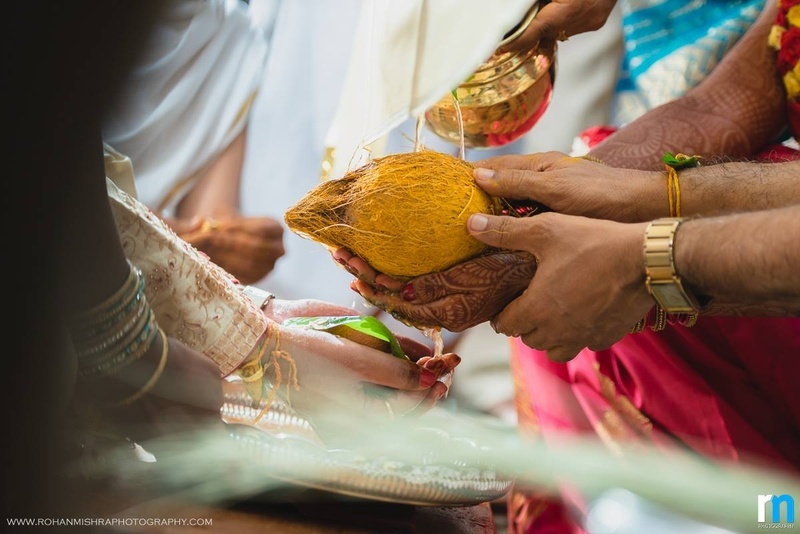 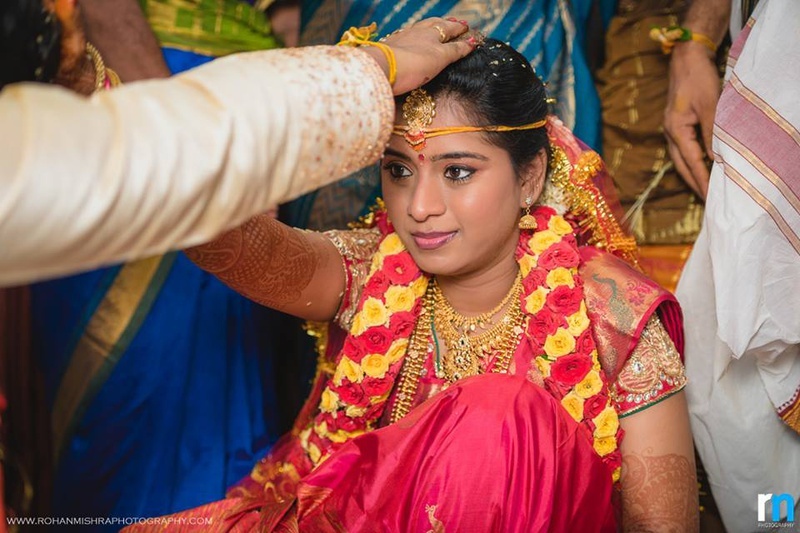 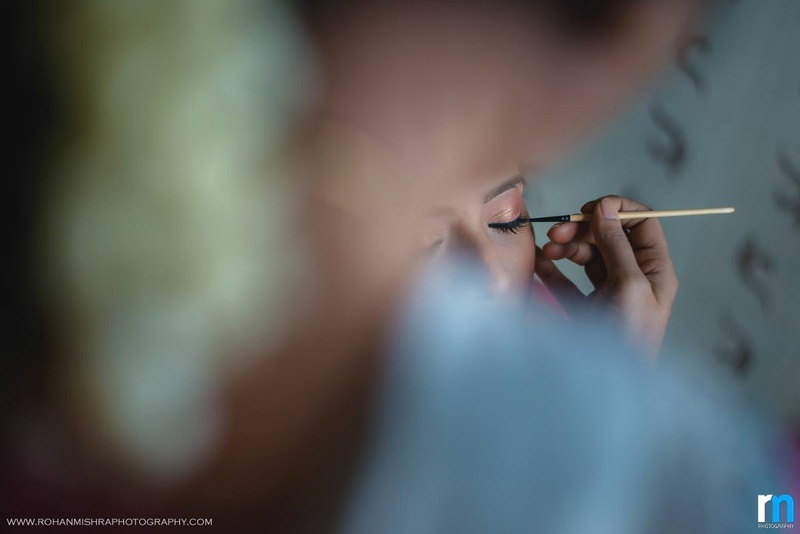 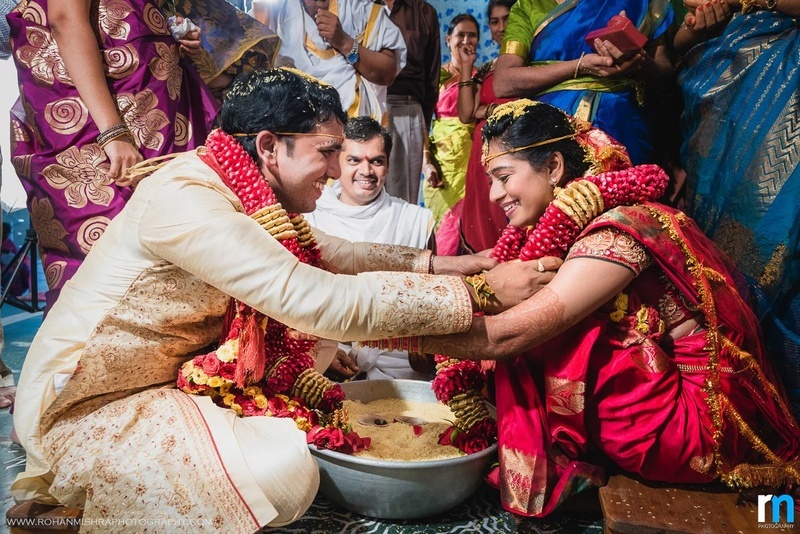 Vidya and Pravin's South-Indian marriage was filled with loads of tradition and love. 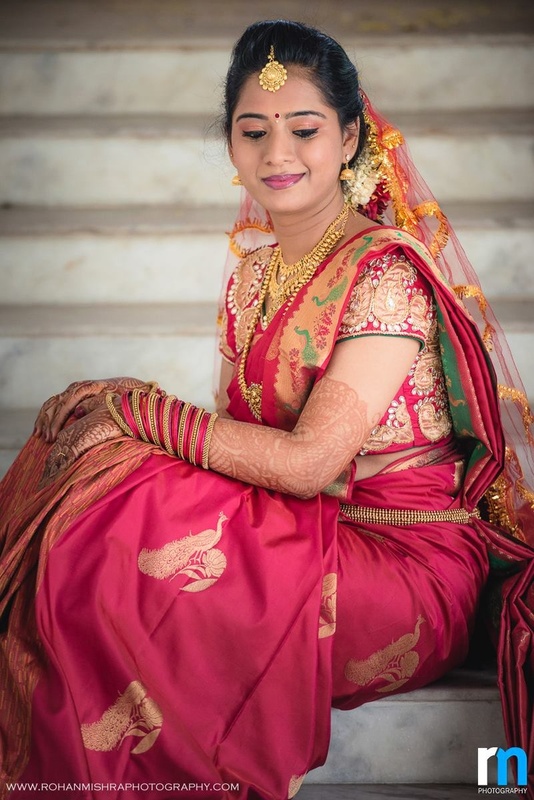 Vidya looked like a quintessential South-Indian bride in a red Kanjivaram silk saree that had gorgeous accents of gold all over. 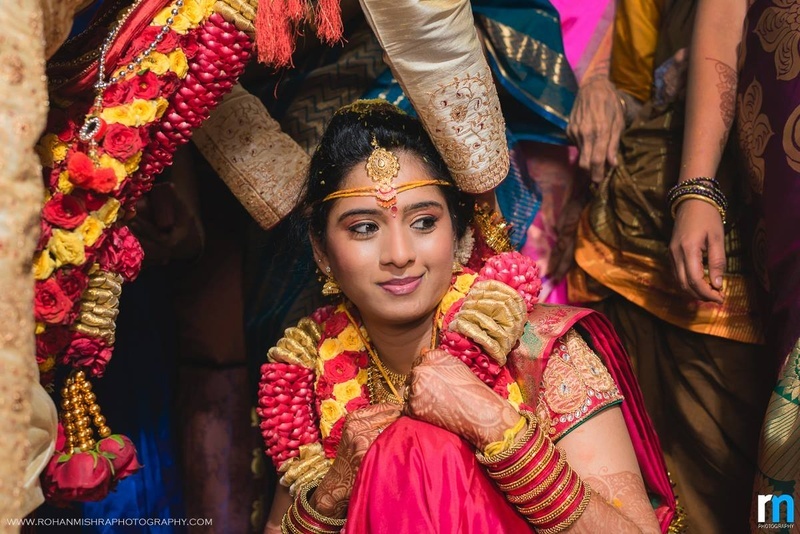 She kept her adornments minimal and elegant - letting her bright smile and beautiful face do all the talking. 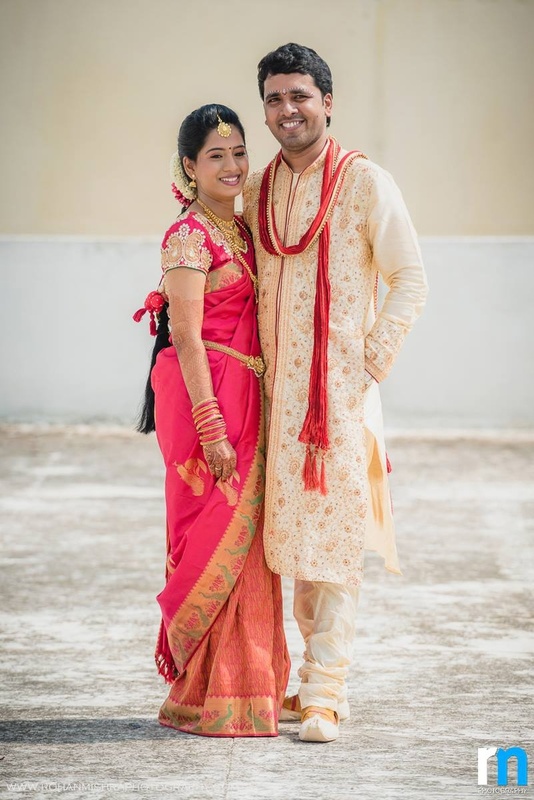 Pravin followed suit with the ethnicity factor in his off-white bandhgala sherwani and red crushed dupatta. 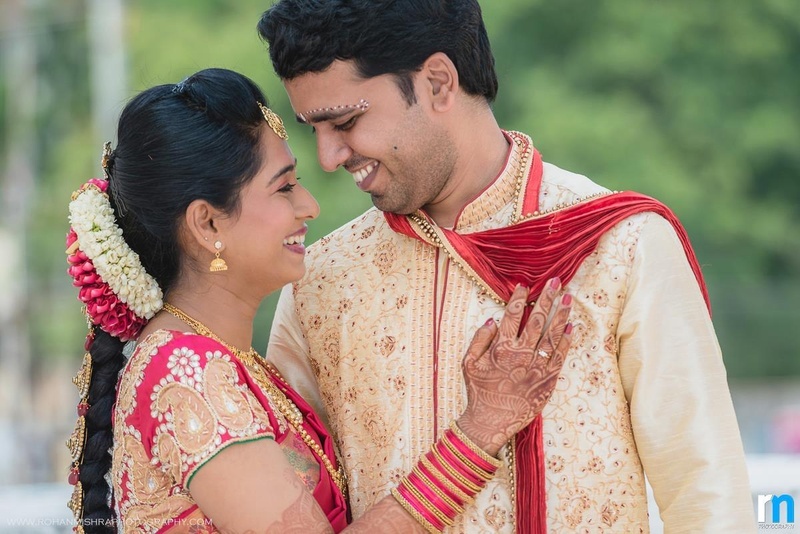 Their marriage rituals were held inside a brightly-lit banquet hall, where this beautiful bride and groom took their Saat Pheras in the presence of family, friends and loved ones. 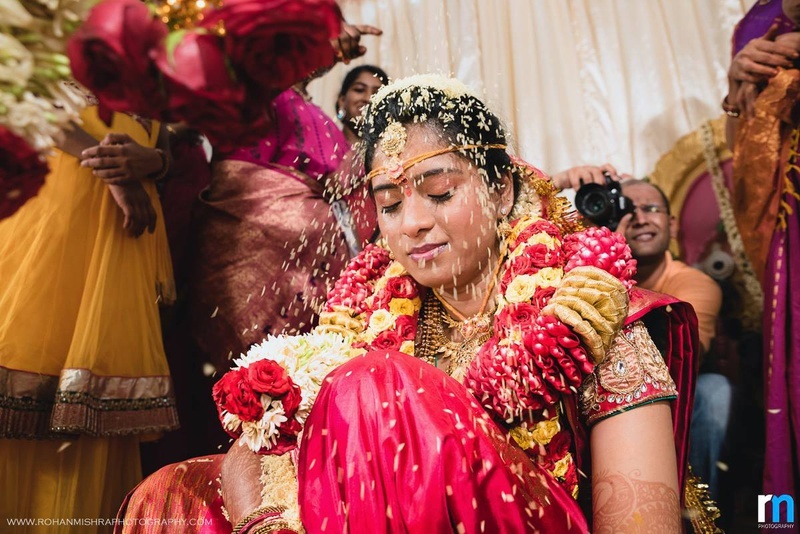 Their indoor Vedi Mandap was set up with stunningly embossed gold-hued pillars and fresh flowers. 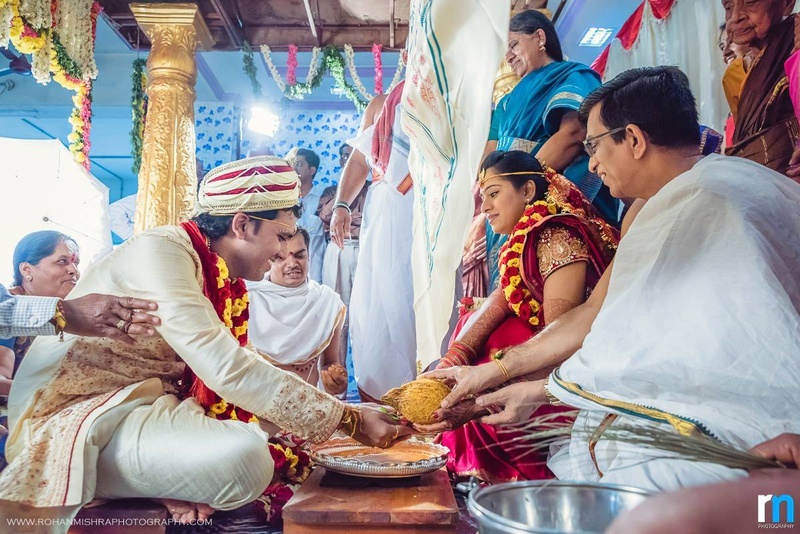 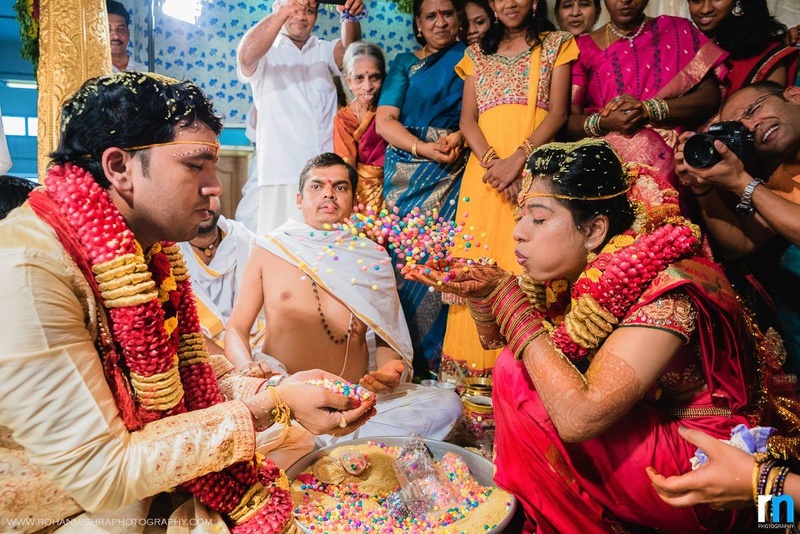 Vidya and Pravin completed every traditional marriage ritual including the one we had never witnessed before! 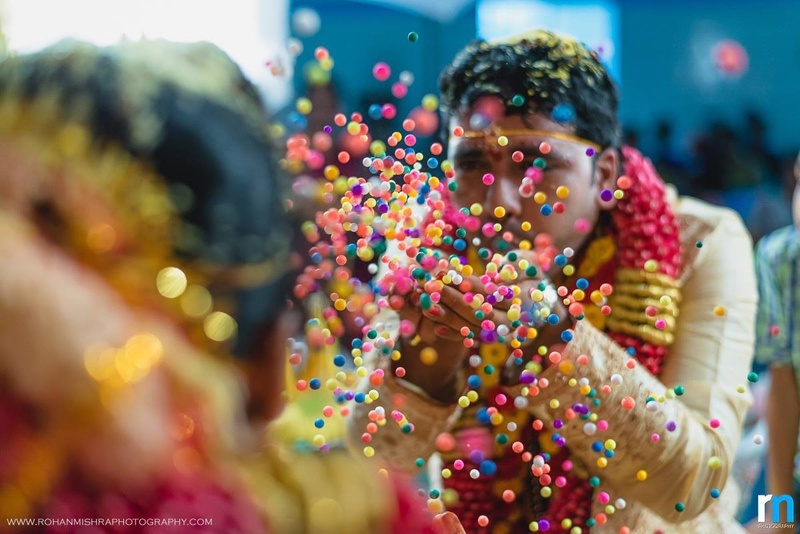 Both, the bride and groom took a handful of colourful confetti and blew it on to each other's faces, symbolic of the blessing that their future will always be full of colour, happiness and love. 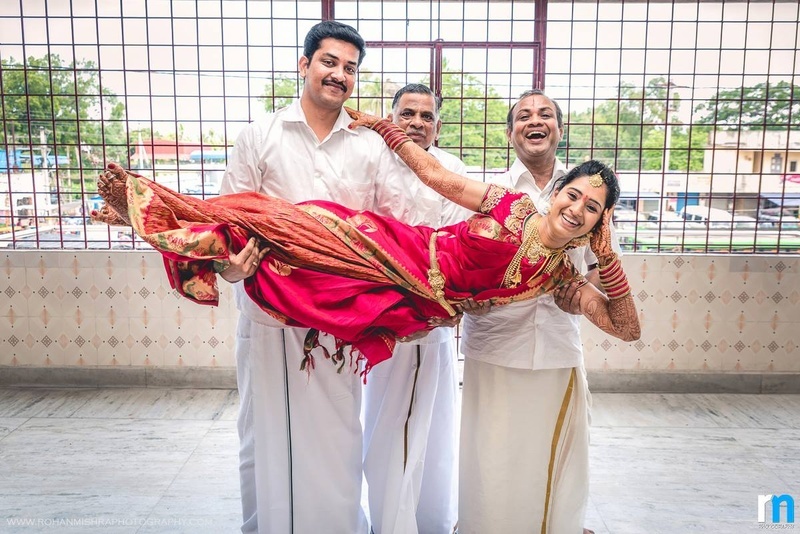 Rohan Mishra shot Vidya and Pravin's union with great talent! 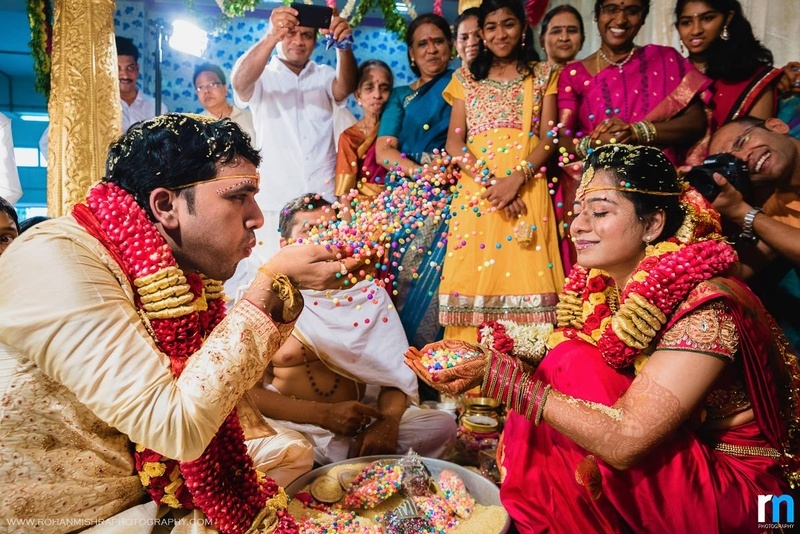 The angles, timing and light settings used in every photograph were just plain brilliant. 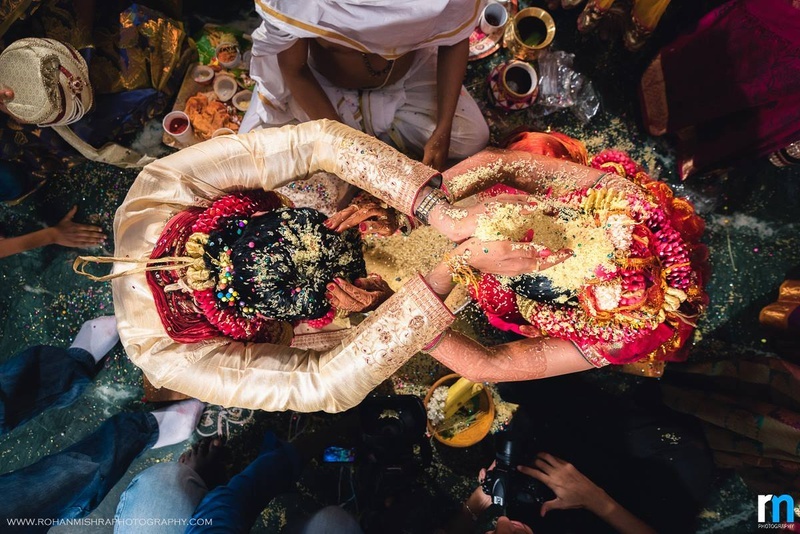 Her abode of love and royalty!